Jeanne Zimmerman peacefully left us on April 5, 2019, with her devoted family by her side. Born on February 7, 1948, she was the daughter and sister of Hollywood stuntmen, which helps explain why Jeanne was one tough cowgirl. A champion barrel racer in her early years, Jeanne went on to attend the University of San Francisco, where she met her future husband John Zimmerman. Jeanne and John were married for 49 years and blessed the earth with two beautiful daughters, Karri Ann and Rhea. 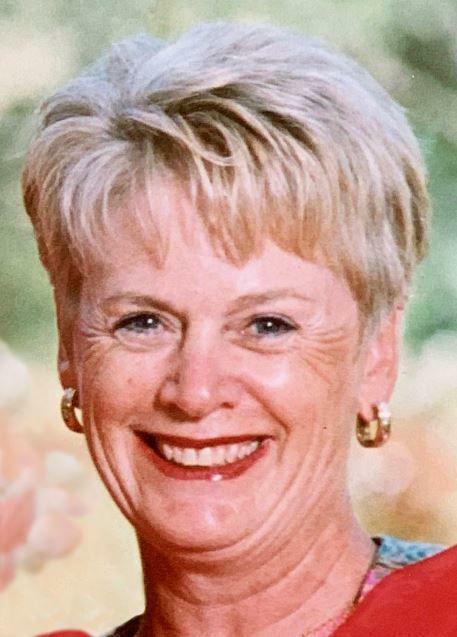 As the girls grew up, Jeanne tirelessly volunteered at their schools, served as a past president of the Napa Valley Unified Education Foundation, and with Mick Dragoo founded the “Grad Nite” program to keep graduates safe (and which recently celebrated its 30th year). Jeanne was a superb chef that delighted in creating sumptuous feasts for family and friends. Her annual batches of Christmas cinnamon rolls that she delivered throughout town were anticipated far more eagerly than anything that came wrapped under the tree. Jeanne loved golf and played formidably. She was a past women’s champion at Napa Valley Country Club, and once won a $5000 cash prize for a hole-in-one at a tournament. For years, she traveled far and wide rating golf courses in Northern California. Jeanne is survived by her husband John, daughters Karri Ann North and Rhea Komarek, sons-in-law Mark North and Austin Komarek, and extraordinary grandson Destry Komarek. At Jeanne’s request, there will be no public service.